Pink peppercorns have slightly spicy, sweet, fruity and floral taste. Adding these little jewels into your dish can create a beautiful complexity and extra hint of warmth, especially desserts like chocolate, ice cream and popcorn. It is so fragile and delicate, so you need to crush with a knife or spice grinder, not a pepper mill. I like having them on cheese, with chocolate, crushing onto poached eggs or mixing into a vinaigrette. I felt like something sweet tonight but not too heavy. 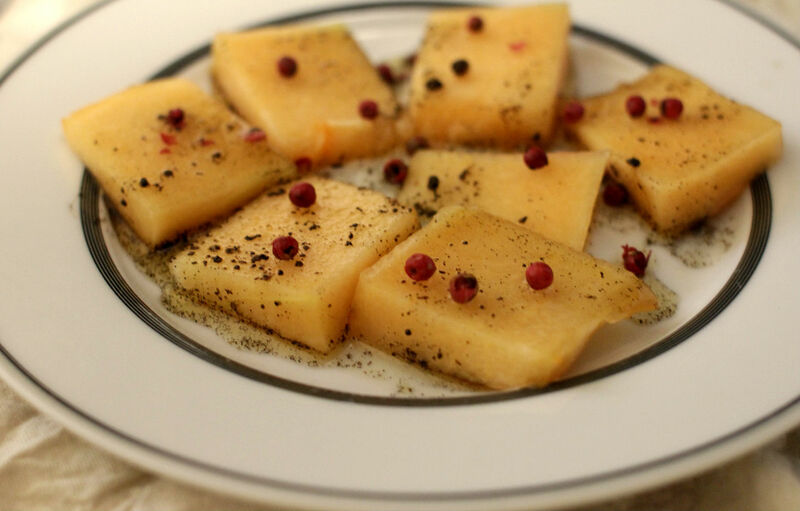 So this cantaloup with pink peppercorn maple syrup was perfect to satisfy my sweet tooth, yum! Remember melons straight after meal can disturb your digestion, so have this dessert at least 30 minutes after dinner. 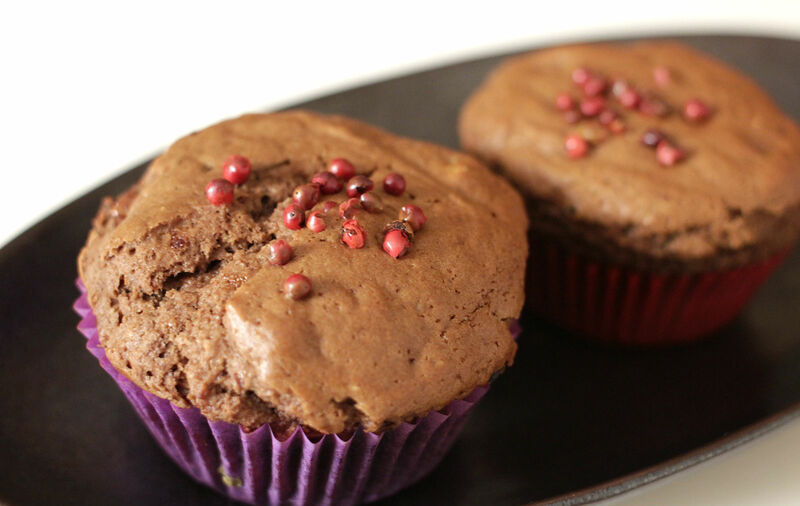 Of course, if you can wait 🙂 Second recipe is chocolate muffins with pink peppercorns. Simply warm up the maple syrup, vanilla and pink peppercorns in a saucepan. Drizzle on the slices of cantaloupe and sprinkle a good quality sea salt to serve. Combine all wet ingredients and dry ingredients. Stir well to combine and spoon the mixture into a muffin tray. Sprinkle pink peppercorns on top. Bake in the preheated oven (180) for 20-25 minutes until cooked.